As soon as I saw these pearls I knew what I had to bead with them! 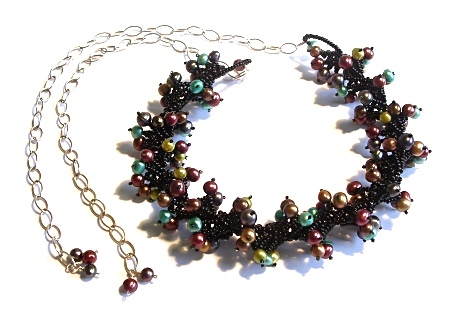 The necklace is beaded using spiral rope with a technique I developed for adding fringes which gives it a full, spiky look. I added a chain and dangles so that the wearing length can be adjusted as required.